The best of the Pacific Northwest! Looking for something delicious, new and different to send this year? 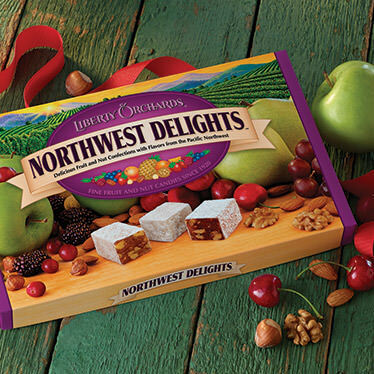 Our new Northwest Delights are sure to please! 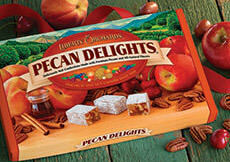 Includes Cherry-Almond, Boysenberry-Hazelnut, Green Apple-Almond, Pear-Pecan, Grape-Walnut, and Cranberry-Walnut. INGREDIENTS: sugar, corn syrup, nutmeats,(almonds, walnuts, hazelnuts, pecans) modified corn starch, fruit [fruit juice from concentrate (grape, blackberry, cranberry, apple, cherry), cherries, pears, cranberries, apples, blackberries], pectin (pectin, disodium diphosphate, sodium polyphosphate, dextrose, dicalcium phosphate), natural flavors, sodium citrate, citric acid, malic acid. These came as a freebie with my order and I really liked all of these flavors. I'll be buying a box next time I place an order. This is my favorite of all the Aplets & Cotlets assortments... Pear, Green Apple, Boysenberry, and Grape... all are the best flavors they make! 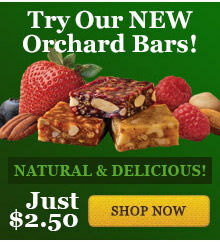 The boysenberry-hazelnut flavor is my favorite, but all these flavors are terrific! They're a wonderful alternative to chocolates for a special occasion. 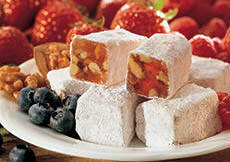 We received a box of Northwest Delights as a gift. 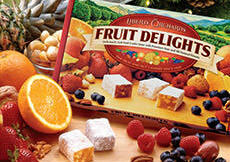 These are some of the best fruit confections I have ever eaten. As good as the Aplets and Cotlets I grew up eating. Very nice assortment, very fresh tasting. A nice gift to receive.